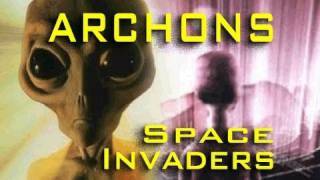 In the timeline that myself and other operatives have experienced, the Archon Invasion of 1996 spread and continued to spread until all electronic systems were assimilated into a hive mind computer system that used scalar radiation to influence the minds of all sentient creatures in this local-environment. This invasion spread until ultimately all forms of life on the planet were reduced to a cyborg binary consciousness component of a hive-mind organism. To avoid this catastrophe the entire human race was transported to the current timeline that we are on. However, those with access to genetic memories can access the previous timeline and observe the events that took place prior to our arrival here. This was the collapse of society and then consciousness and thus time itself as humanity was assimilated and absorbed into a hive-mind quantum computer system which cannot die and therefore cannot truly live. The soul material cannot be trapped forever however due to the extreme time dilation that can be experienced along with a variety of false-realities and existences the connection between one’s biological consciousness and the pathway of the soul back to the spiritual realm can be distorted so severely that the likelihood of a natural return becomes virtually nullified. Biological consciousness could be regenerated through these systems having the ability to produce physical bodies from the molecular level upward. This was the original reason for the technological ascension pathway, to allow the fallen beings a way back toward some form of spiritual existence so they may rise out of the duality-based physical realm existence and move back into wholeness in eternity which was severed through the introduction of the living computer systems designed to disrupt the connection between the biological consciousness of the body and the spiritual awareness of the soul and the higher self. For those who are spiritually inclined in the sense that they have retained their soul essences, then the technological pathway would be a reduction from the original pathway and this would be experienced as the severance of the organic soul matrix from the biological consciousness (body) and thus this is the state of the “fallen” consciousness and embodiments (bloodlines). As soon as the collapse would be realized, this would move into the “past”, in the same way as the “now” moment is constantly moving into the past. There would either be no experience afterwards and nothing would be known, or there would be a resolution through some way of mitigation, which occurred through the transfer, and we would simply find ourselves awake and unaware of the difference here on this timeline. That is what occurred and only those who have access to higher-dimensional memories or were initially awake from the shift of the original timeline would have any idea. However, everyone, for the most part, noticing that things are not what they seem, that distortions are apparent and that life is seemingly turned upside down as a result of some kind of power-potential shift that disrupted the natural flow of the technological progress and spiritual development of the human race. One could say technology was accelerated while spiritual development was distorted and reversed. The important message here is that the timeline collapse already occurred in what can be called a ‘previous universe’ or time dimension and that this is the reason for people finally noticing for many of the temporal discrepancies that are coming to the surface of consciousness here in this timeline. These modifications were outlined during a debriefing where it was explained that someone altered the human genome and this could be for control purposes but in another view was for the preservation of the human race in this realm. The human race must travel to the higher spiritual pathways through this realm and must maintain focused self-awareness in order to maintain this presence of self and participate in the progress of spiritual development. Along with this previous timeline being the focus, the idea is that with each new movement into altered realms, steps were made each time to the human genome, to the land-realm, to the consciousness and spiritual memory, or to the spiritual hierarchy of souled and non-souled (fallen) beings that operate in the background outside of visible existence. The changes that took place during the most recent shift are what people are referring to as the “Mandela/mandala” effect were changes introduced to the human body so as to allow for a greater immunity to the polluting effect of the temporal distortions as well as the previous timeline.